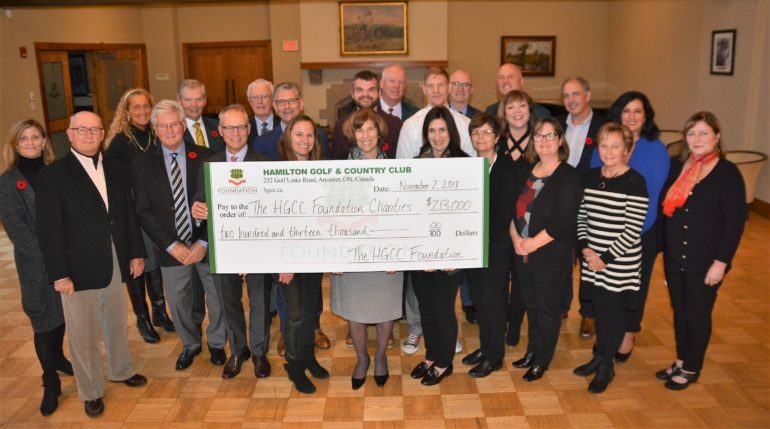 HAMILTON – The Hamilton Golf & Country Club (HGCC) Foundation lived up to its vision for a better tomorrow, donating $213,000 to six community charity partners for 2018 earlier this month. In its first year 75 per cent of the young cancer patients died in hospital. This past year the number dropped to 40 per cent as more youngsters died at home or in their community surrounded by loved ones. Dr. Lysecki explained that the program gives families/parents/children more options to consider when a child is dying from a terminal disease. The HGCC Foundation’s six primary (key) charities partners for 2018 included; Ancaster Community Services ($20,000) , Rygiel Supports for Community Living ($40,000), McMaster Children’s Hospital Foundation – The Pediatric Palliative Care Project ($40,000), De Mazenod Door Outreach ($33,000), The Hamilton Community Food Centre, a program of the Neighbour 2 Neighbour Centre ($40,000) and the Alzheimer Society of Hamilton and Halton ($40,000). 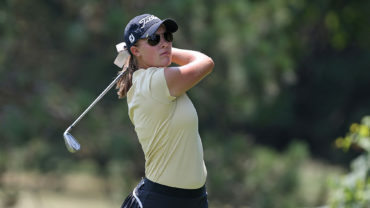 Funding for the Foundation comes primarily from two charity golf tournaments – The Borthwick Memorial Golf Tournament sponsored by Turkstra Lumber and the women’s Golf for a Cause Golf Tournament sponsored by ONE for Freight. Funding for these charity partners traditionally lasts for a three-year period and then different charities are chosen to take their place, although ACS receives an on-going annual donation. “We just want to say thank-you. With this new funding we’re going to be able to launch a new and much needed program – Diverse Communities Outreach in north Hamilton. It will focus on building partnerships to under-served communities in our city, including newcomers to Canada, those of diverse communities and/or lower socio-economic groups,” says Aileen Bradshaw, Executive Director for the Alzheimer Society of Hamilton and Halton. “I would like to begin by thanking all of the Foundation Executive lead by the capable and generous team of friends – Alan Scott and Brian Short. Gentleman, you have been precisely that – Gentlemen leading others towards the common goal of helping those in need by our club. Hamilton Golf & Country Club is proud host the 2019 & 2023 RBC Canadian Opens. 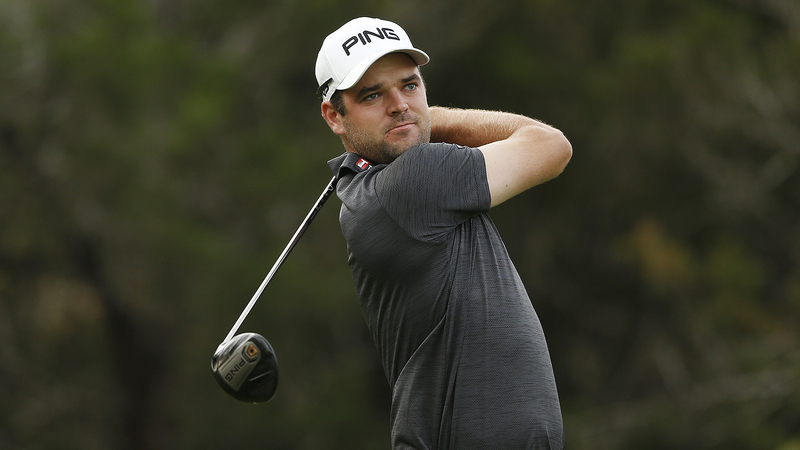 Click here to learn more about the RBC Canadian Open.